JKCET Admit Card 2019: Every year J&K Board of Professional Entrance Examinations announces the online application form for those candidates who want to pursue engineering from the J&K state. All eligible applicants can download the JKCET Hall Ticket through online mode after submitting the application form successfully. In order to get entry in the exam center, candidates must bring the admit card otherwise you will be not permitted to enter the test center. 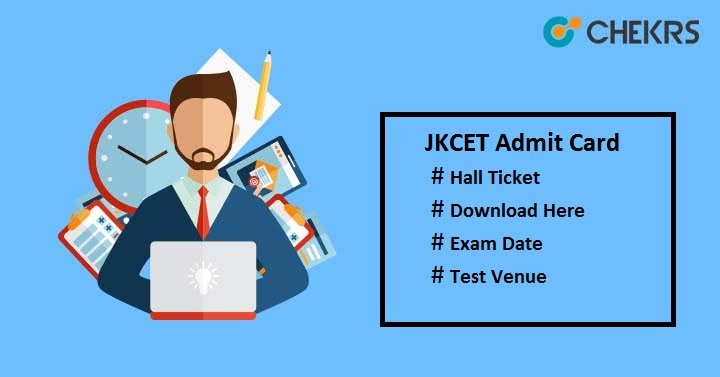 Here we have discussed how to get the JKCET 2019 Admit Card, last date to get it etc. Students can check tentative schedule of JKCET 2019 Exam date along with the admit card release date. We update it after the release of official date. Follow the steps to download the Jammu JKCET Admit Card from the official website through online mode. Search for the “Download CET-2019 Admit Card” link. Enter application no, date of birth & security code and then click on “Login” button. JKCET Hall Ticket will be appeared on the screen. Take the print-out of it for further use. Candidates must report 30 minutes before the reporting time. Applicants must affix recent passport size photograph on downloaded JKCET Hall Ticket. Carry one valid Photo ID proof Voter ID card/ Aadhaar card/ School ID card/ PAN card/ Driving License/ Passport along with the admit card. Candidates are advised to examine all the details printed on the JKCET admit card, In case any discrepancies, you may contact to the officials immediately. Do not carry any electronic gadgets or devices inside the premises of the examination center. If caught, you have been disqualified for the examination and any other future exam. Do not tamper with the admit card or damage it. Keep it safe till the admission is over. Hope we have provided the helpful information to our users. Still, you have any query then leave your message in the comment section given below.